The nights are about to get even darker and full of cuddles for Aussie actor Guy Pearce and GoT star Carice van Houten who have taken to social media to reveal their big news. Our favourite “Queen” of the dessert and our favourite Game of Thrones witch are procreating! Guy Pearce announced his happy news via Twitter with a message to his fans. 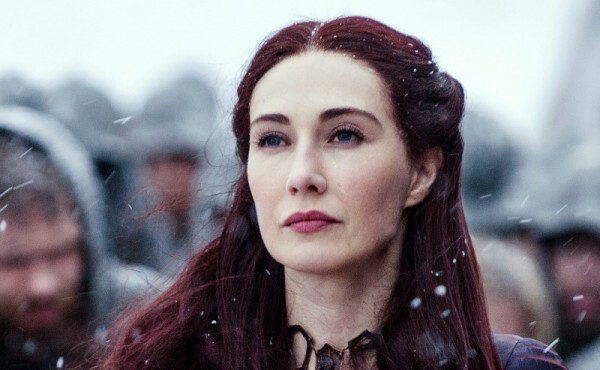 Carice van Houten, whose character Melisandre famously gave birth to a shadow baby in season two of Game of Thrones, is welcoming the “shadow baby” jokes with open arms. This is the first child for both Guy, 48 and Carice, 39. Yes. It’s true. 👶🏼 Let the shadow baby jokes begin. Congratulations to the couple on their happy news. Little Pearce will have company on the set of Game of Thrones with Lena Headey (Cersei Lannister) welcoming a baby girl in July, 2015.